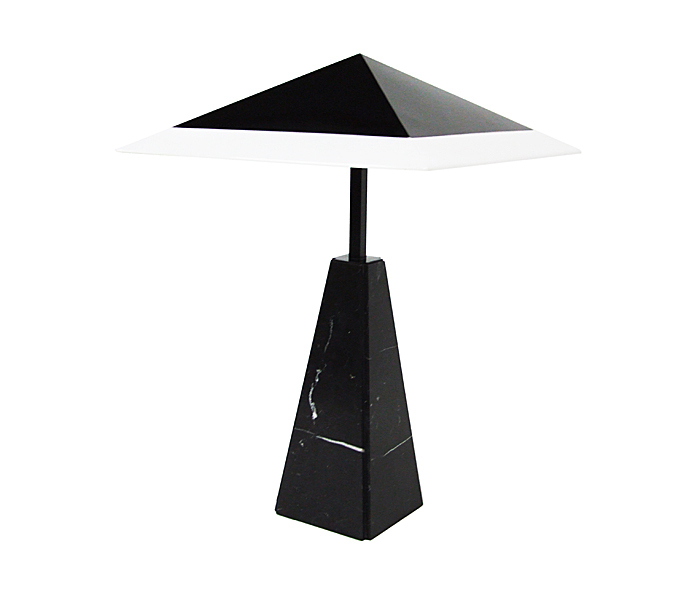 Original 1975 table lamp designed by Cini Boeri for Arteluce, Italy. Portoro marble column with black enamelled brass. White acrylic shade with a black metal diffuser.